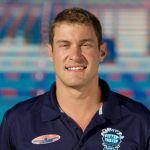 A podium finish might capture the attention of talent scouts from the Fitter and Faster Swim Tour, but what maintains it is an athlete’s ability to explain exactly how he or she got there – especially in a way that will resonate with developing swimmers. That’s because natural talent in the water doesn’t necessarily translate to being a great clinician and coach. Fitter & Faster is interested in the ones who learn to apply every tool available to them to become great. And that’s why 2017 World Championship team member Sarah Gibson fits the bill. She possesses both the intellectual curiosity and perseverance to continue trying until her participants experience a breakthrough. It is easy for participants to relate to Sarah, because her story is not one of instant success. Rather, it is one of developing resiliency through setbacks and learning new ways to approach her goals. Sarah teaches participants to be patient and use setbacks as learning opportunities to achieve your goals down the road. In Sarah’s experience, a career-threatening rotator cuff tear swiftly took her to the bottom of the college recruiting totem pole. 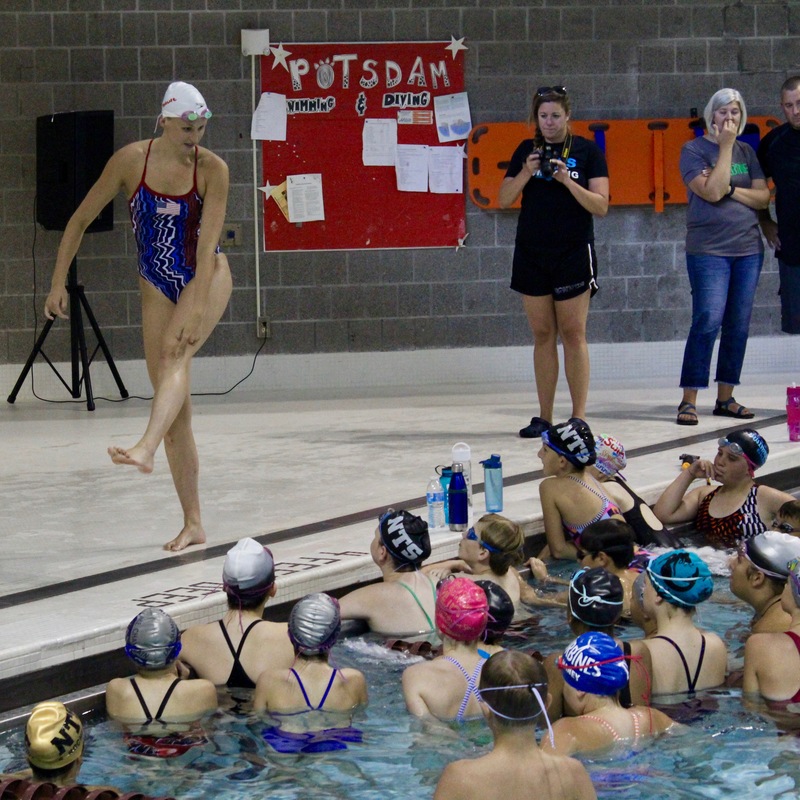 Instead of giving up, she listened to guidance from her coach and swam for Texas A&M under Coach Steve Bultman – the coach who drew out her true greatness. 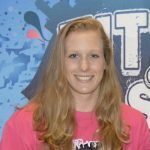 Sarah had to focus on her weaknesses after the athletic trainers at A&M pointed out that her shoulder injuries stemmed from a weak core – a common problem in swimmers. As a distance freestyler and butterfly specialist, proper technique was a must to prevent further injury. Total body strength and athleticism is crucial to being a healthy, fast swimmer, and she incorporates core exercises into her clinics for proper body position in the water. These strengthening routines certainly pay off in the long run – they helped Sarah earn an individual SEC championship title in the 100 fly, a second place finish at NCAAs, and finished fifth a the 2016 Olympic Trials. You can’t go wrong by building good training habits on top of confidence in your work ethic, and a clinic with Sarah provides a mental boost and much-needed perspective.